We are a reputed manufacturers, suppliers and exporters of high quality Rubber Dampers. 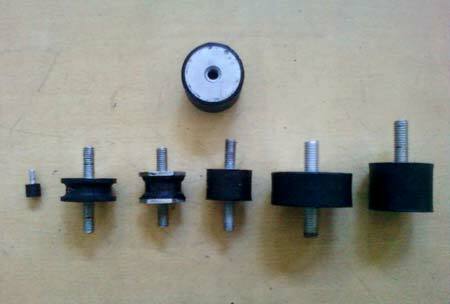 These Rubber Dampers are used to avoid noise, vibration and harness in automotives and machinery. Our Rubber Dampers are made of high quality rubber. Our cost-effective dampers are highly durable and ensure long service life. We design our Rubber Dampers as per the clientâ��s requirements. Our Rubber Dampers, Industrial Rubber Dampers, Rubber Vibration Dampers are widely demanded in market for their efficient performance.